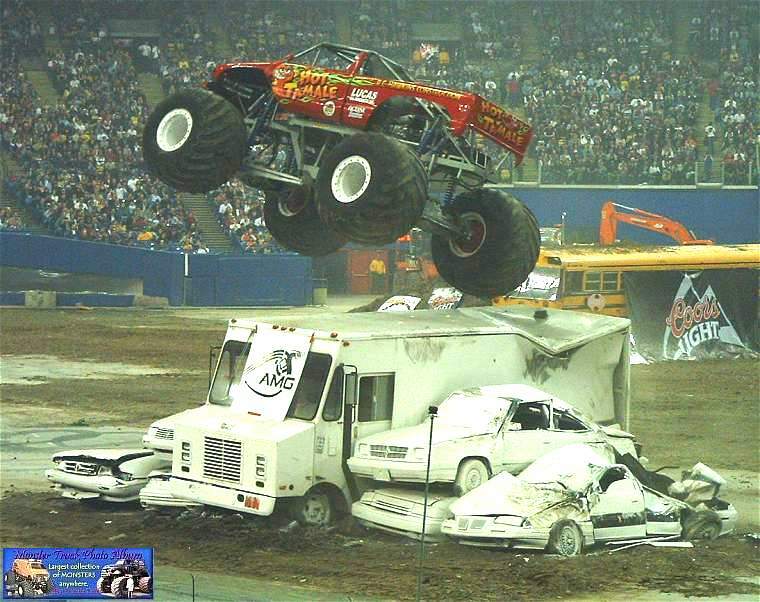 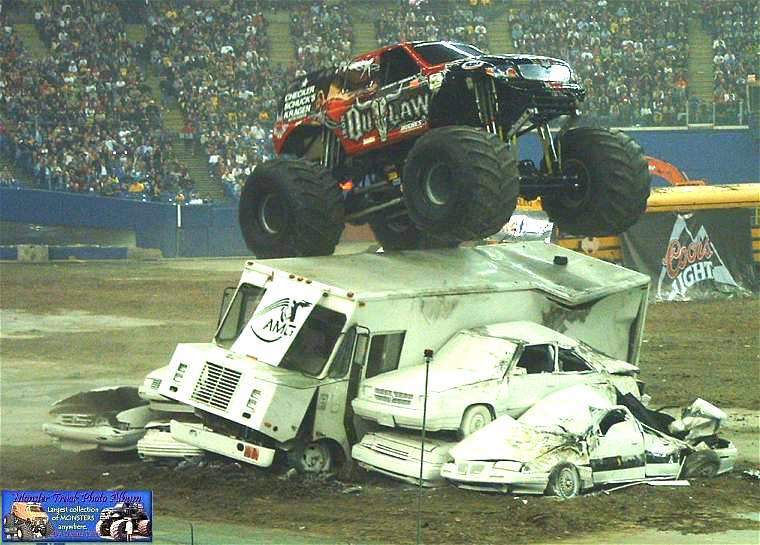 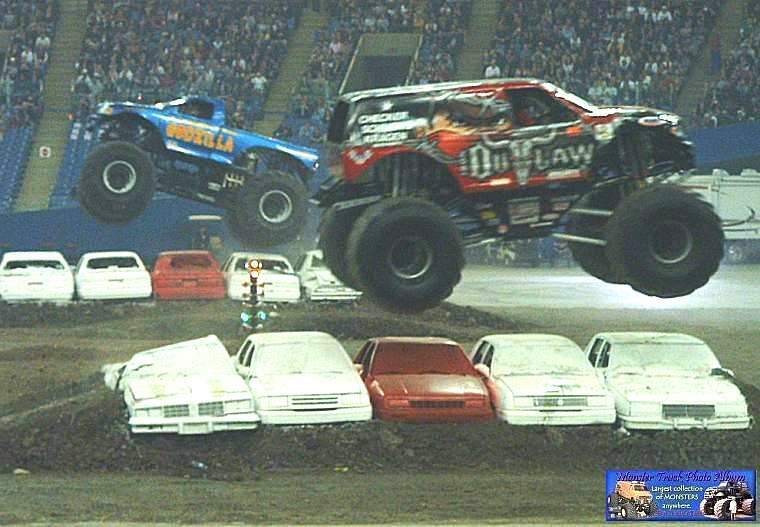 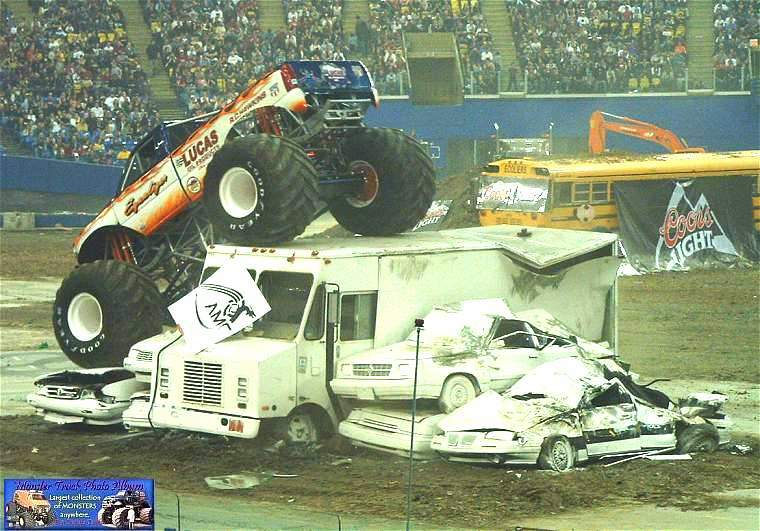 Here is the coverage for the Monster Spectacular that occurred at the Olympic Stadium on 22 April 2006. 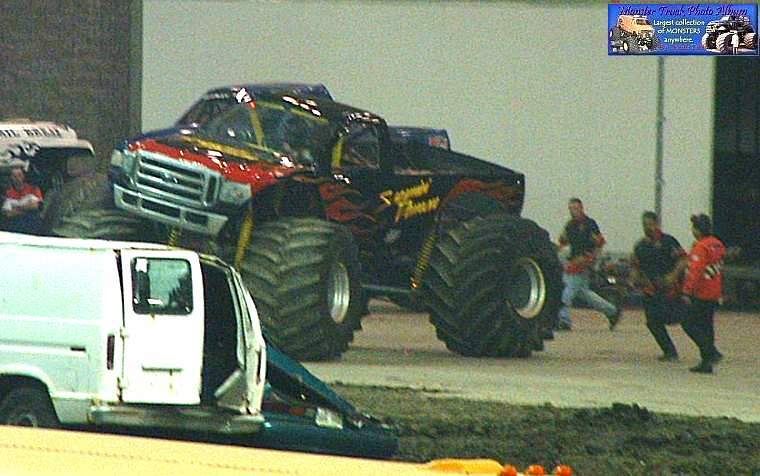 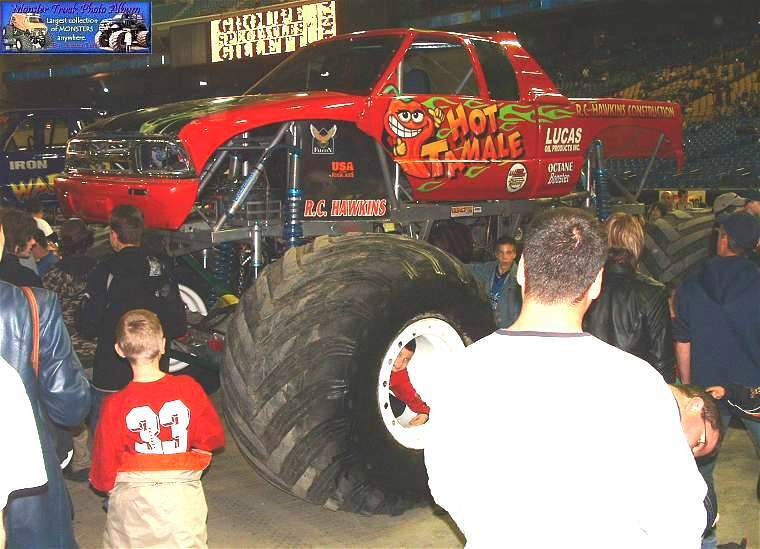 14 trucks were there so it was the biggest show ever presented. 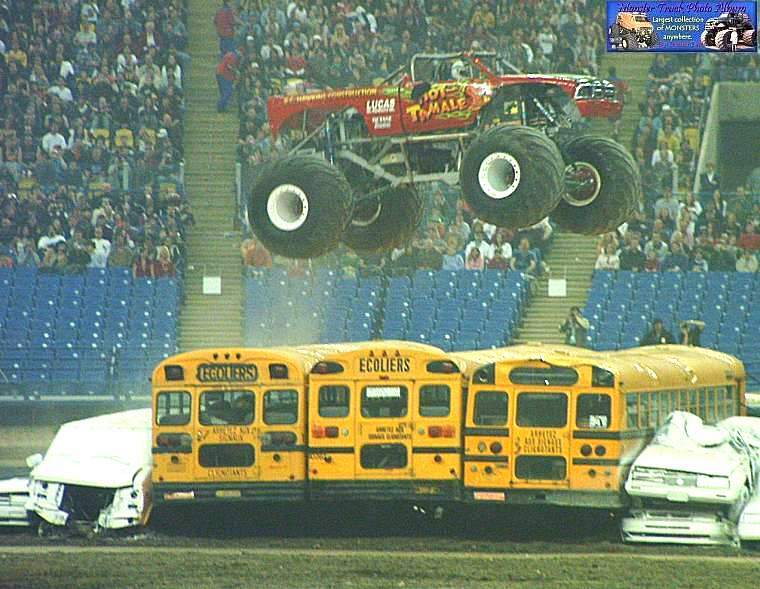 And for the very first time, the show was in front of a sold out crowd with 54493 spectators. 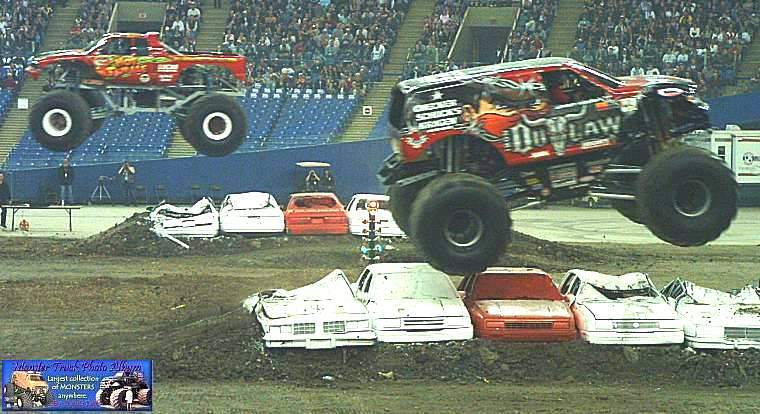 Bounty Hunter vs Equalizer -> Bounty Hunter THE WINNER!! 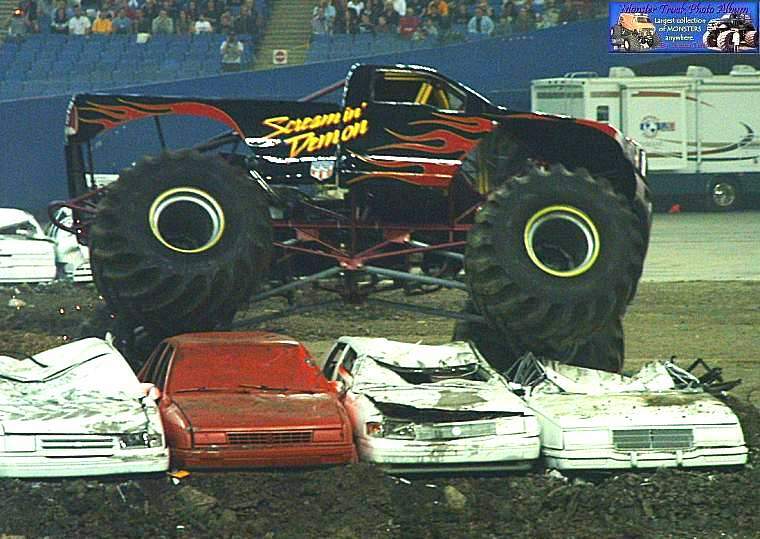 Screamin Demon made a few jumps before it broke the rear suspension. 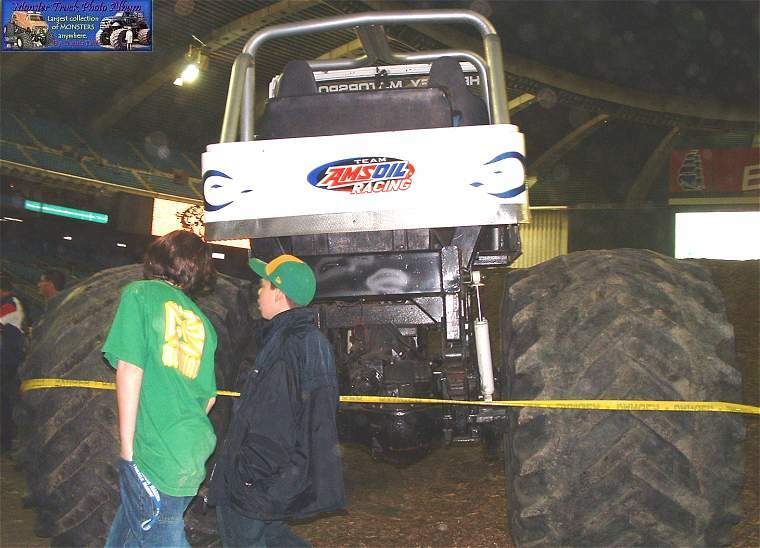 Eradicator bent a 4 link rear bar after a short run. 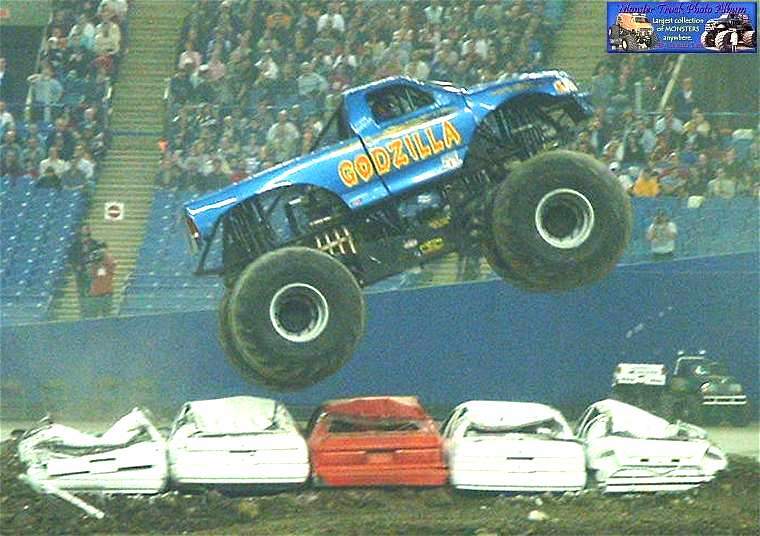 Godzilla made his best freestyle I've ever seen from him. 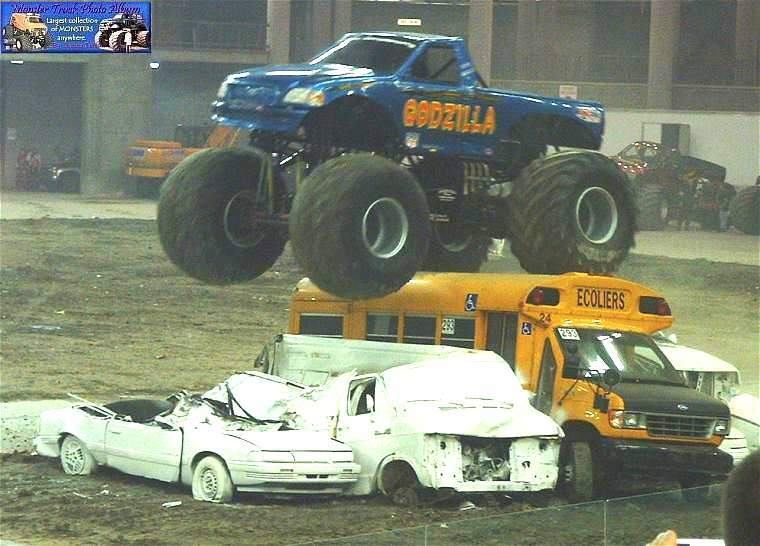 Many good jumps, donuts and a rear jump. 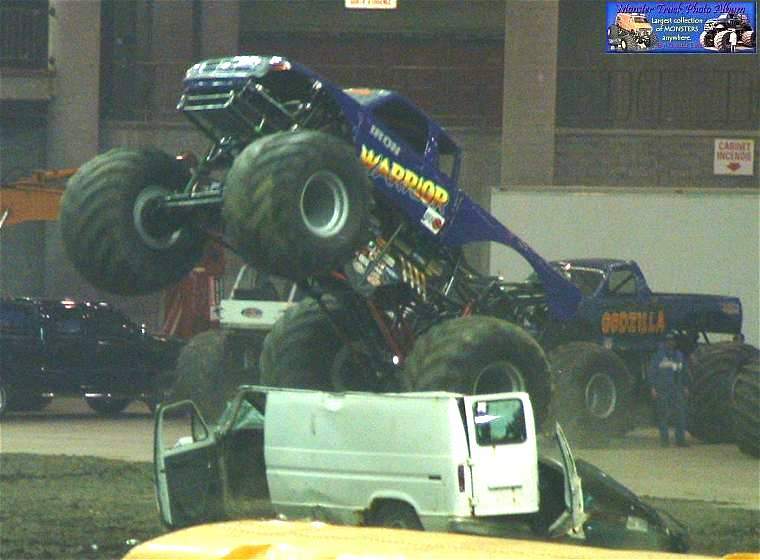 Iron Warrior also made his very best freestyle I ever saw, but I lost battery power!! 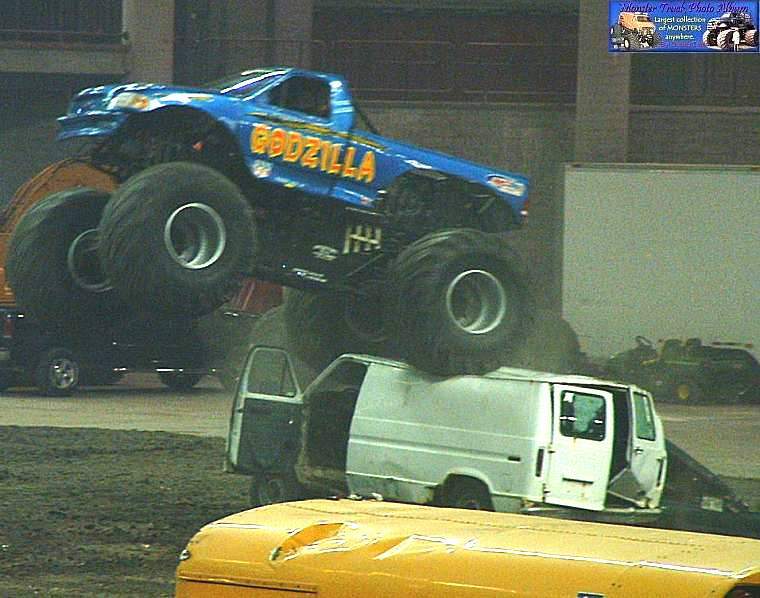 Trey rolled the truck after a big jump over the freestyle ramp just before my batteries were changed. 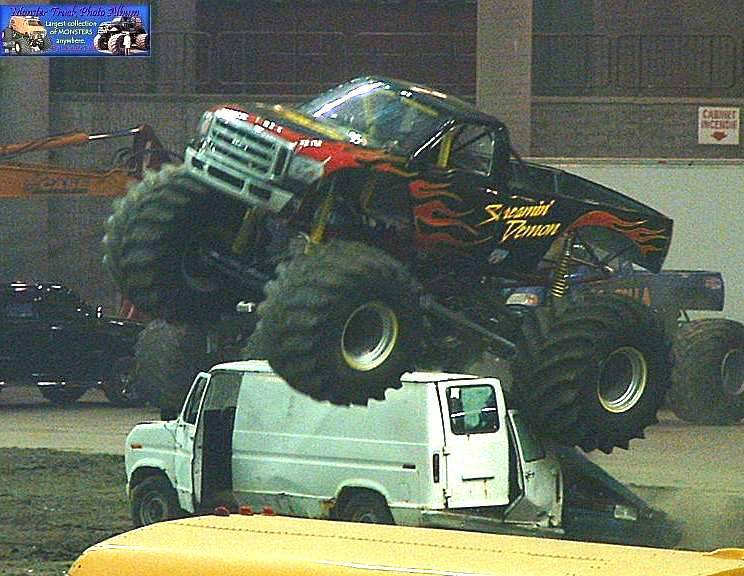 I was disappointed but his freestyle was awesome. 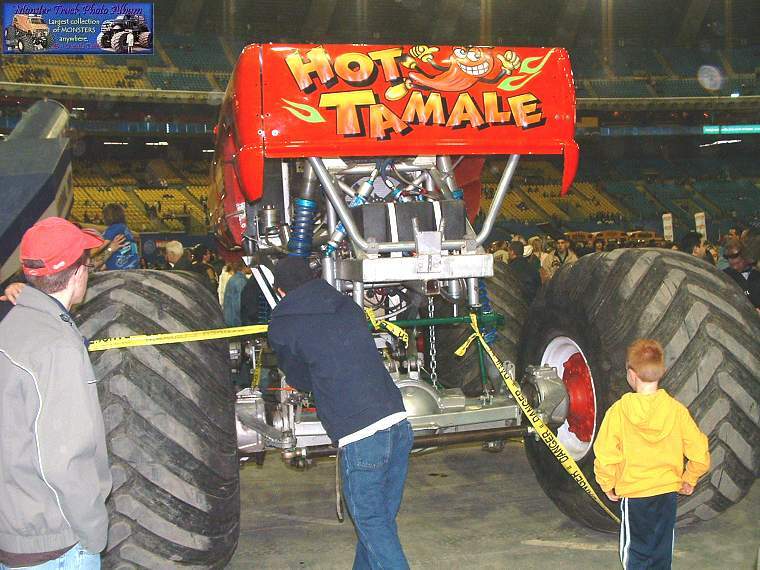 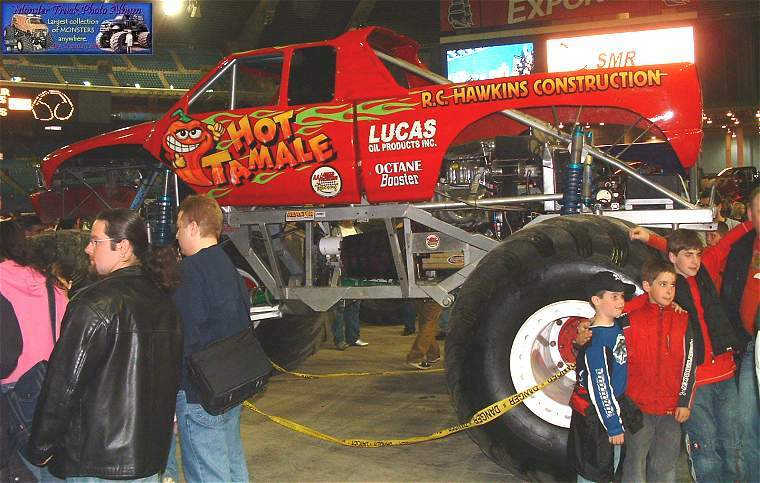 Hot Tamale gave all the truck was able to, as you can see from the pictures. 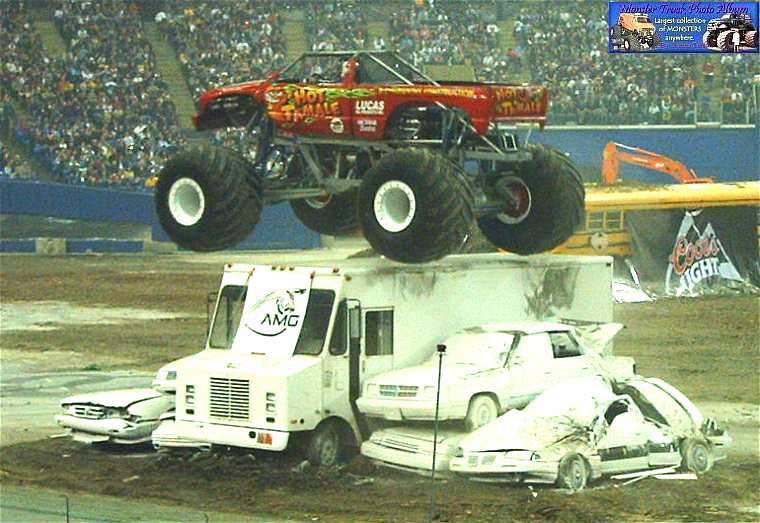 He went over everything except the freestyle ramp. 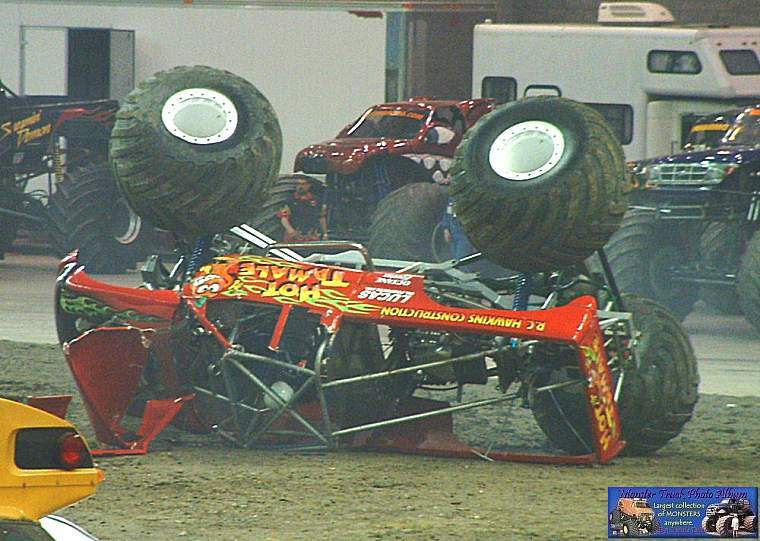 Backdraft and Iron Outlaw followed with very solid runs. 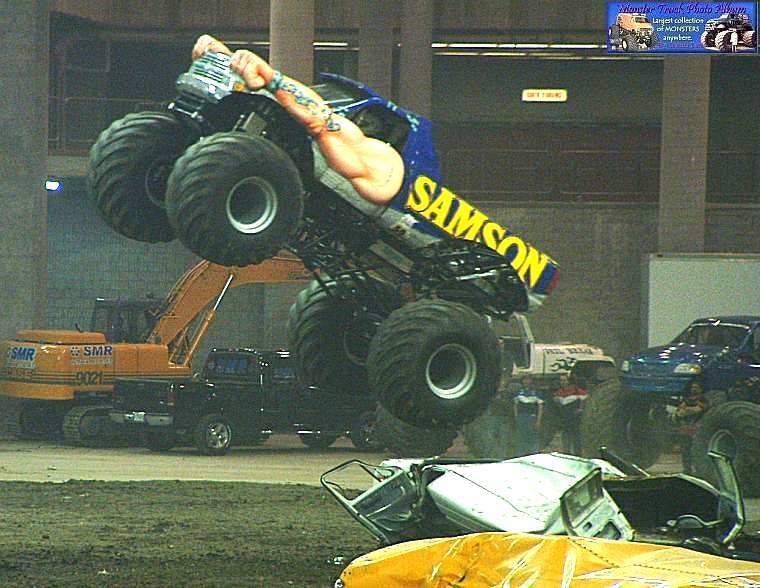 Samson suffered an early rear flat and stopped his run. 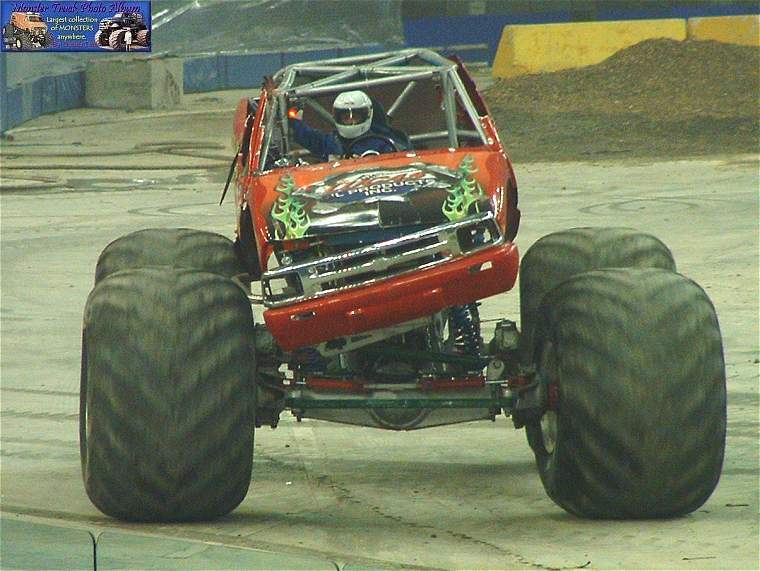 As usual, Chris Bergeron was spectacular with 3 power wheelies and greats jumps. 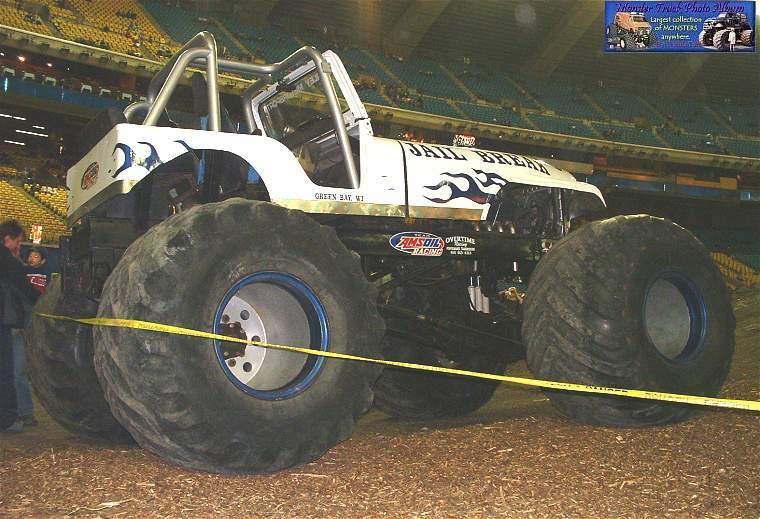 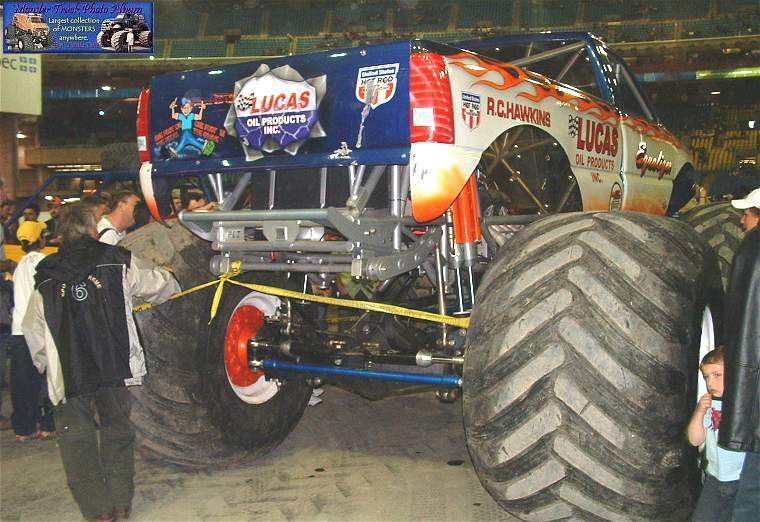 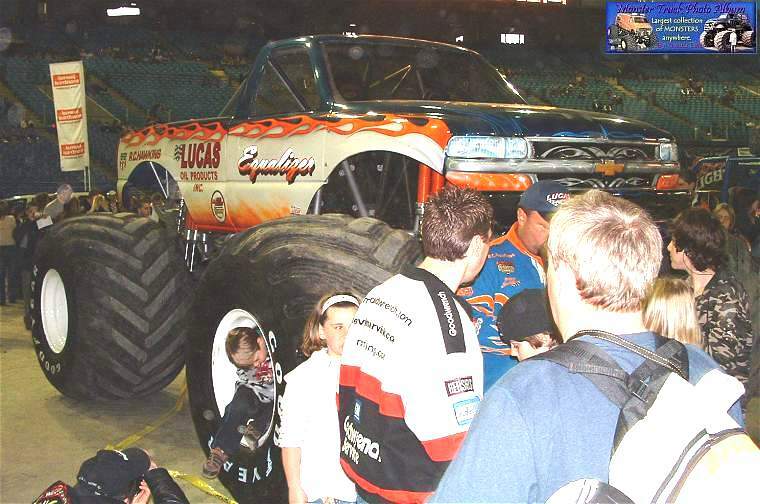 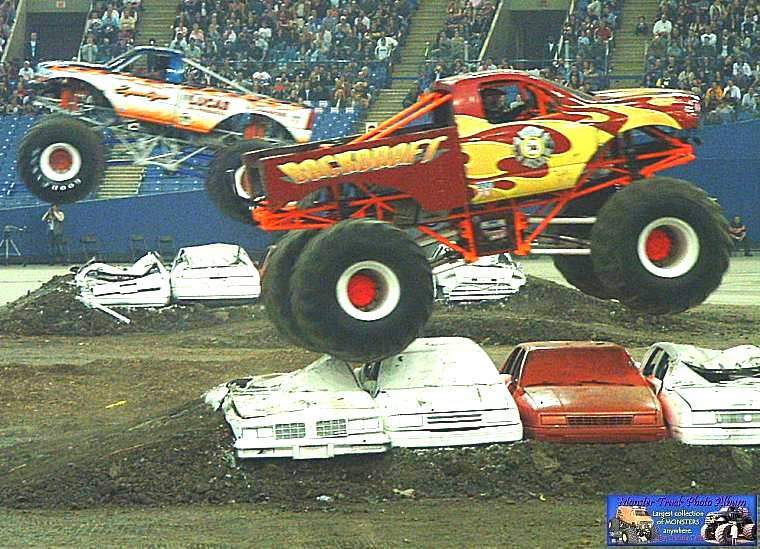 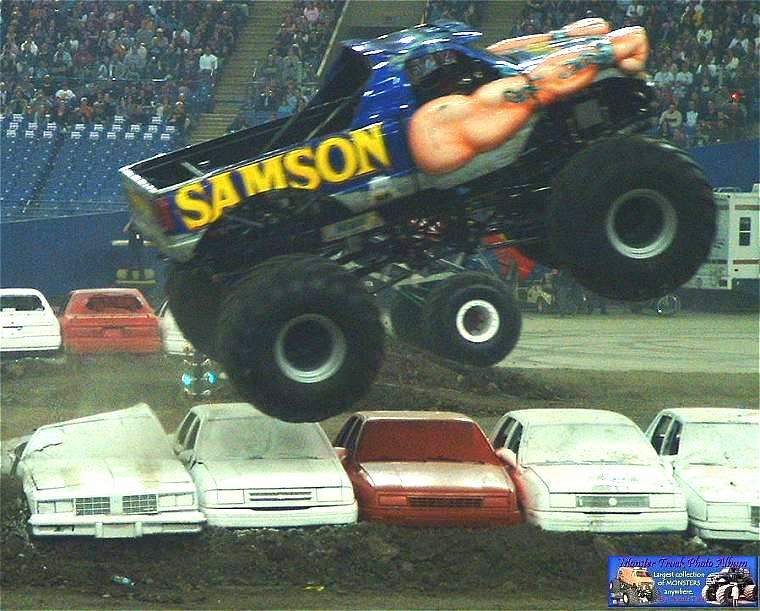 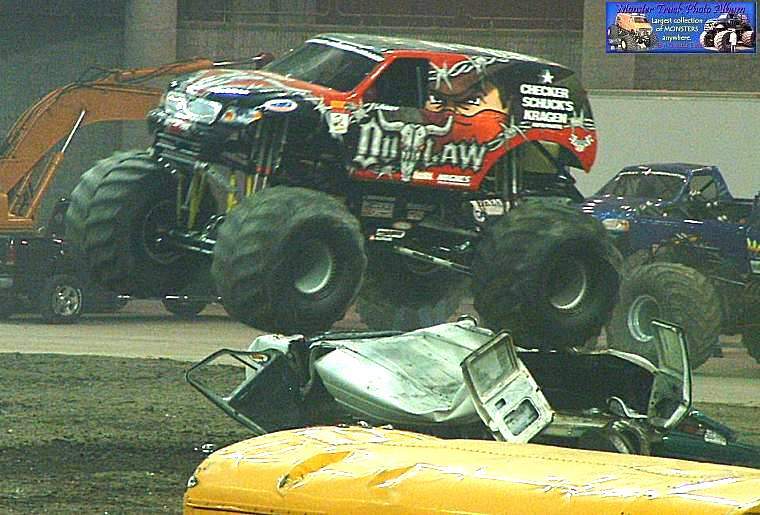 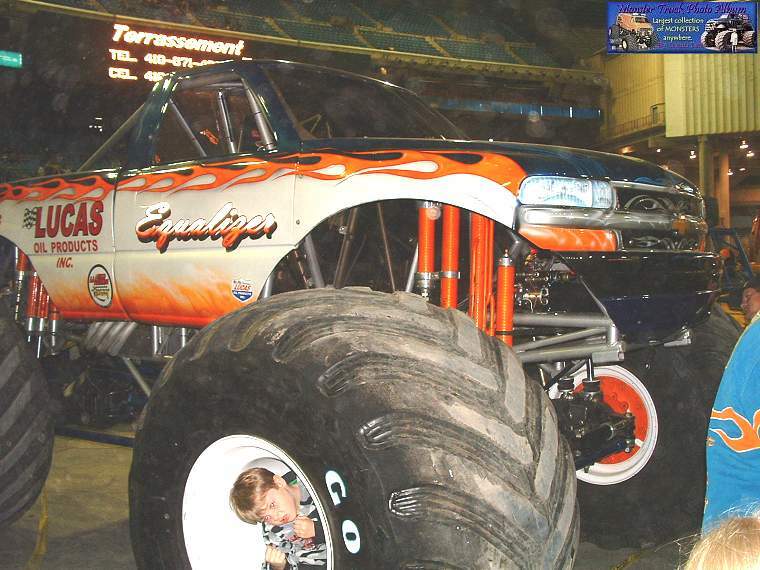 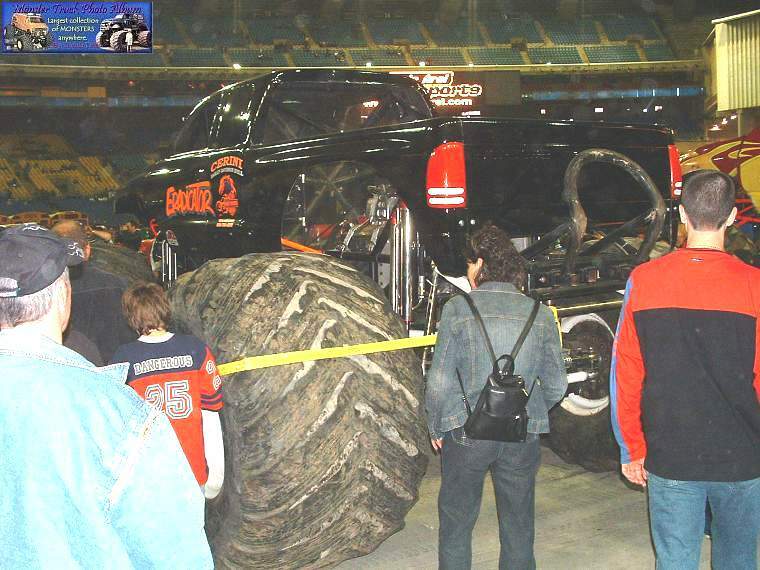 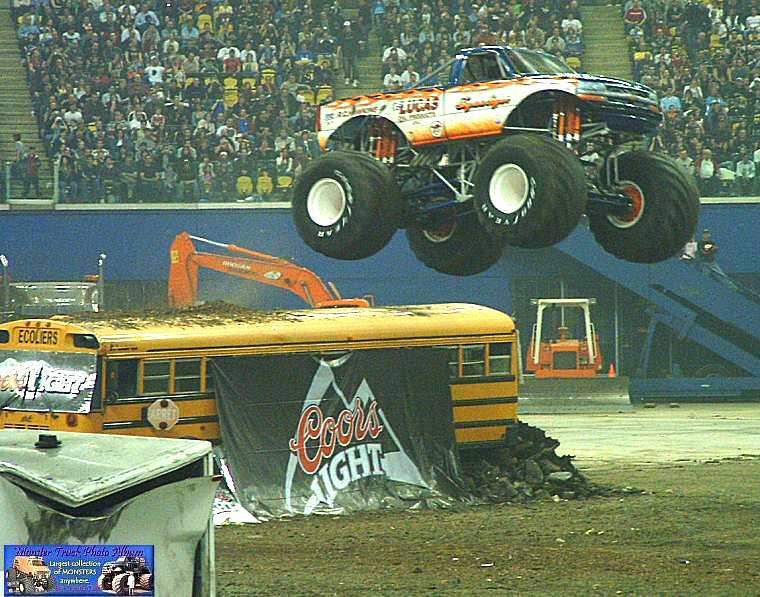 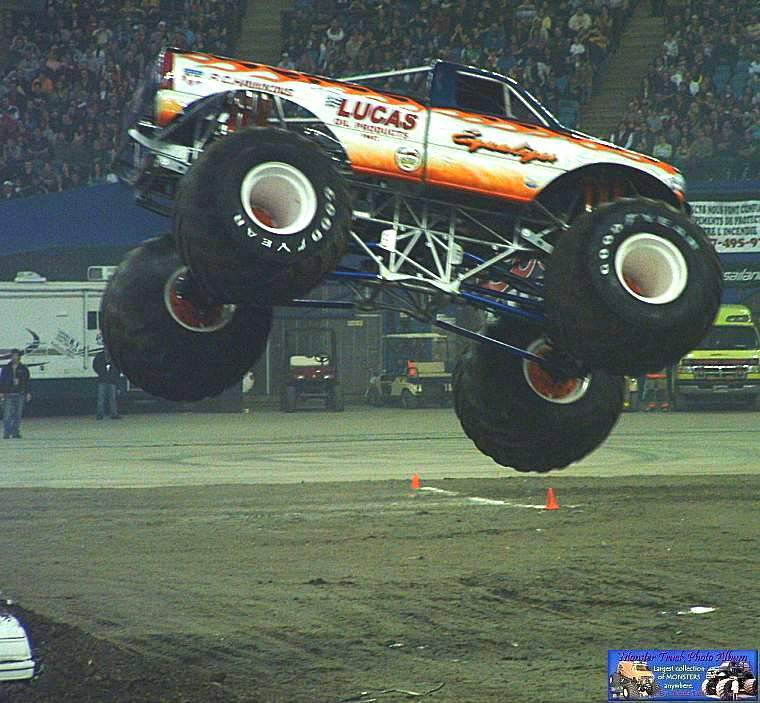 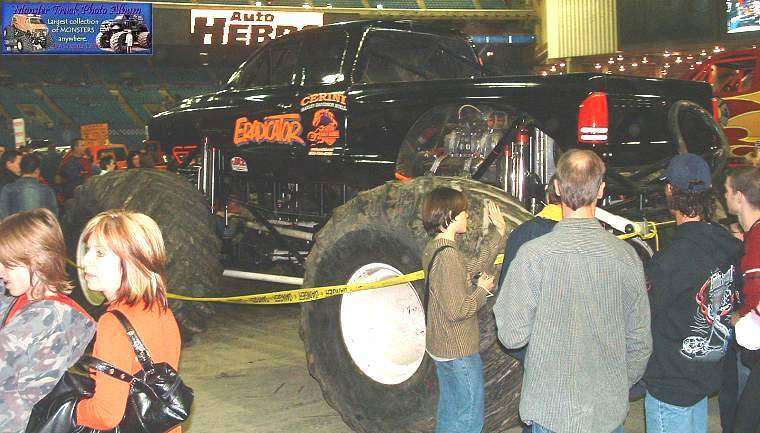 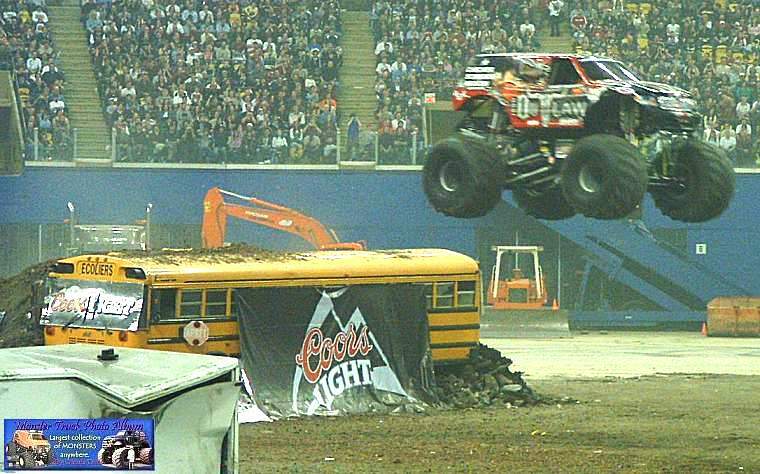 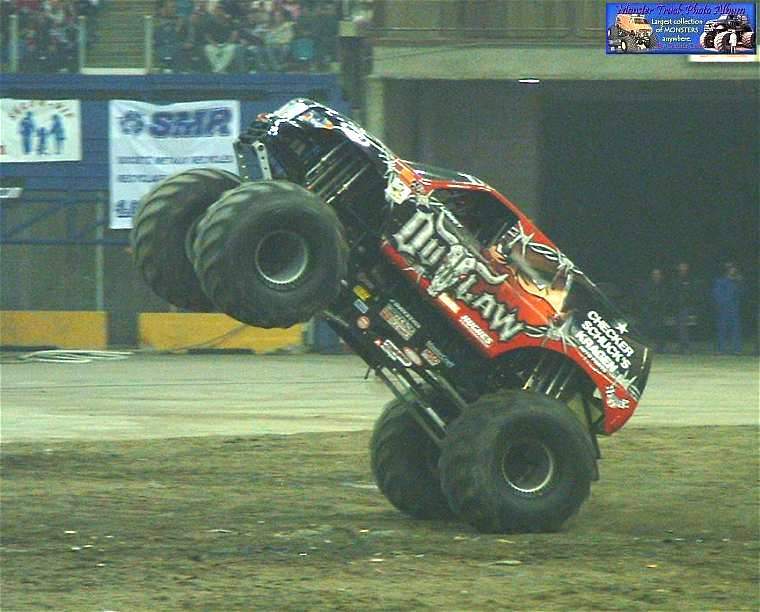 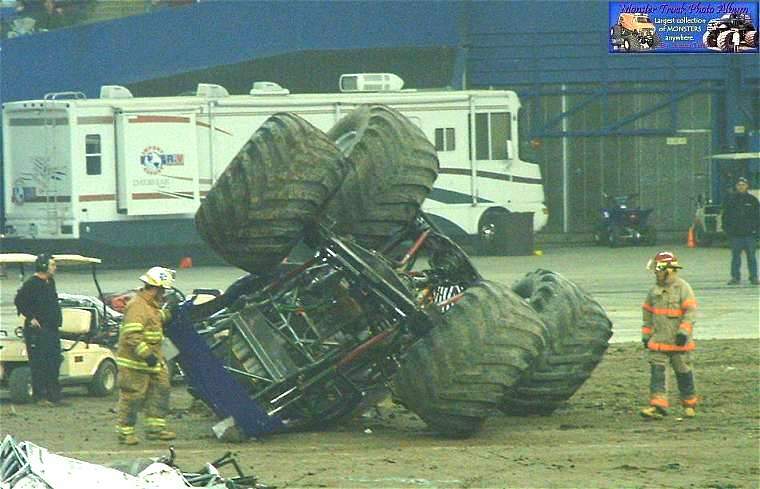 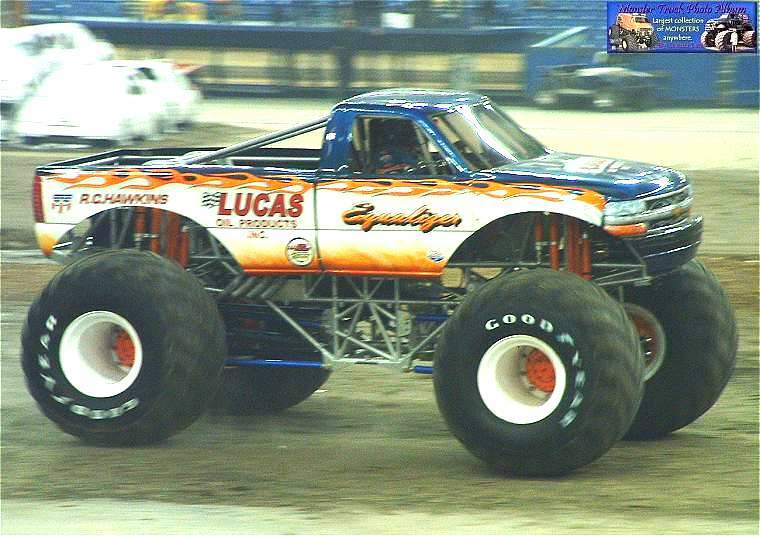 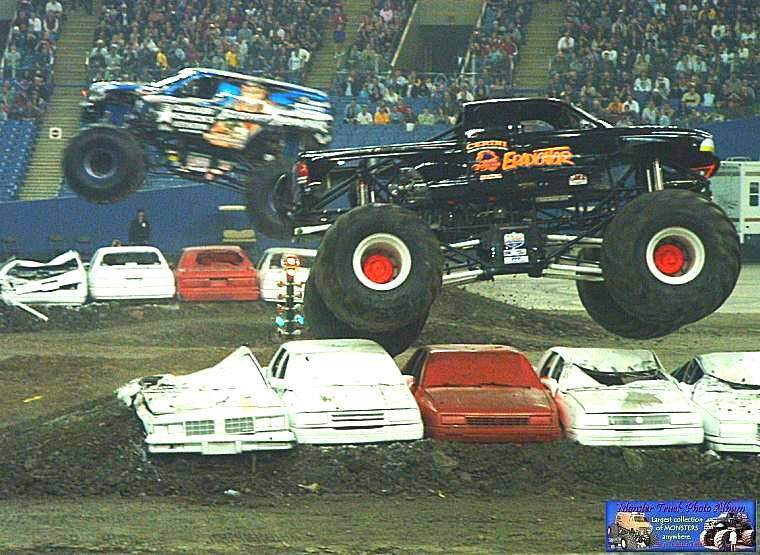 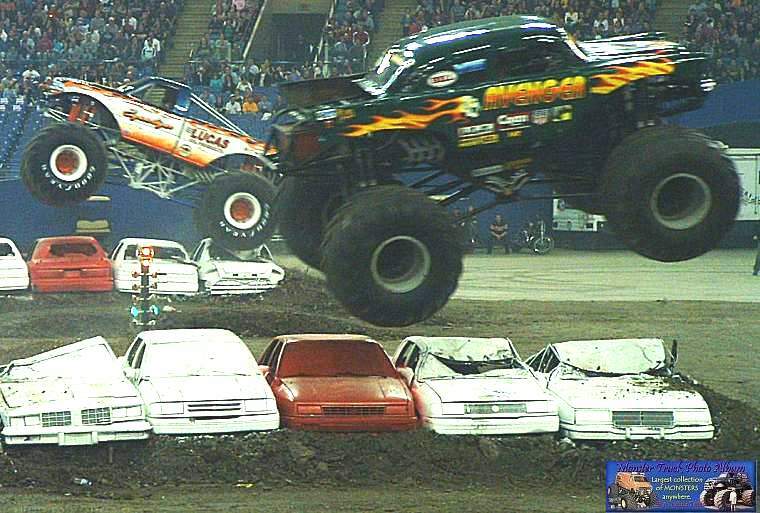 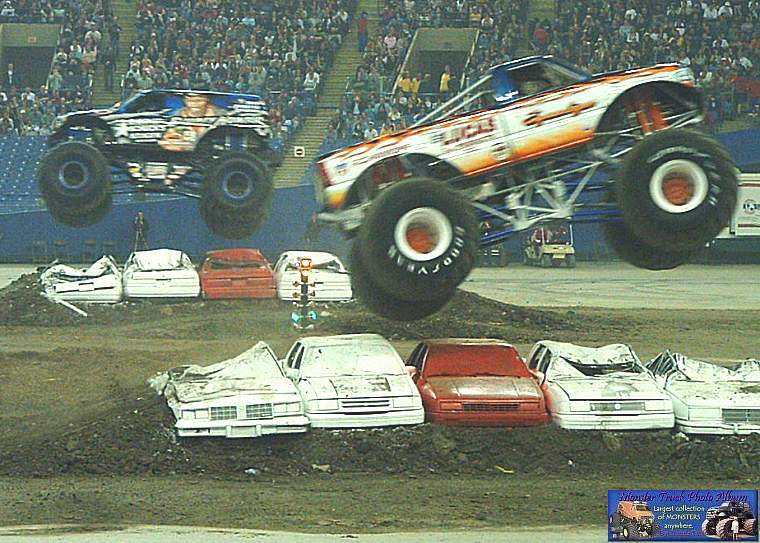 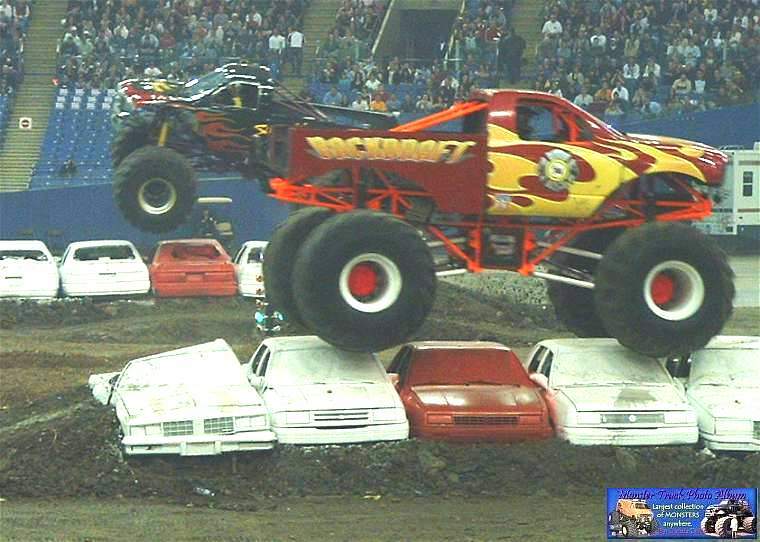 Unfortunately, Bigfoot suffered some suspension damage after a few very big jumps. 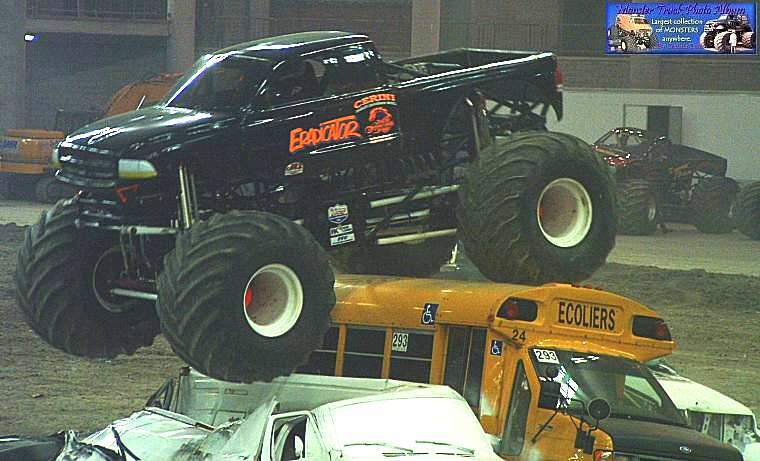 Equalizer made an impressive run with 2 jumps over the freestyle ramp. 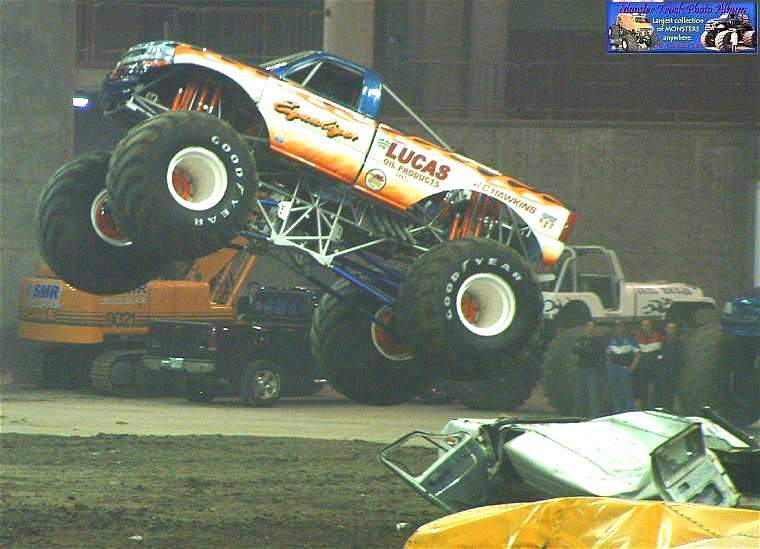 After that, Bounty Hunter came with the very best run of the night that began over the big ramp. 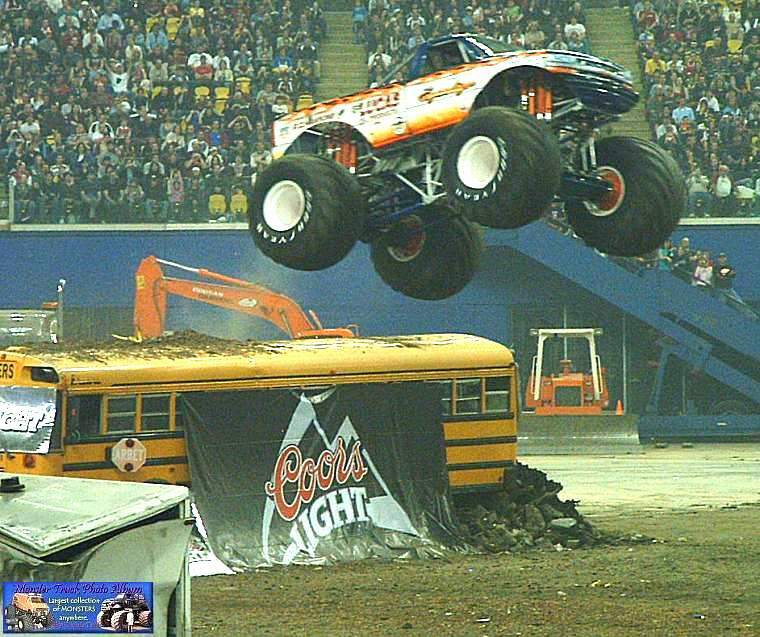 Power wheelies, donuts, a lot of big air, and great momentum was all there for an incredible run. 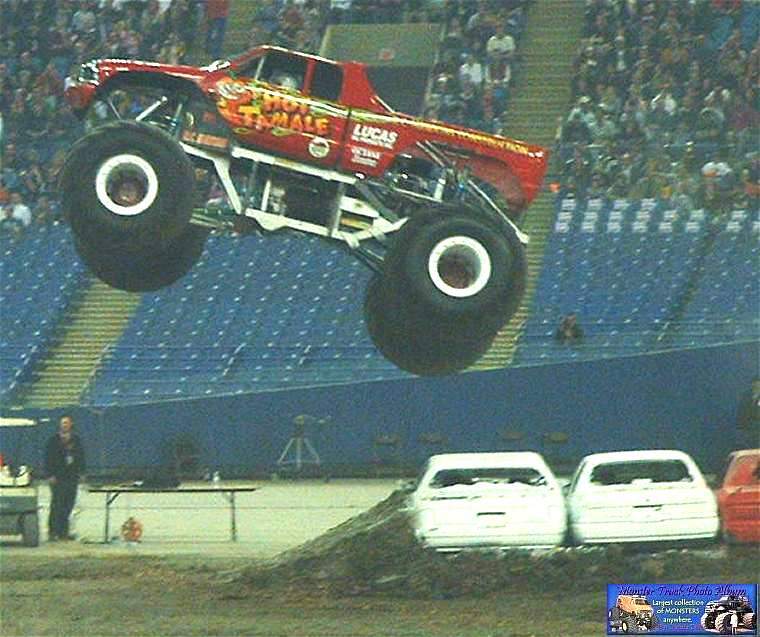 Jimmy Creten was totally crazy - WOW!! 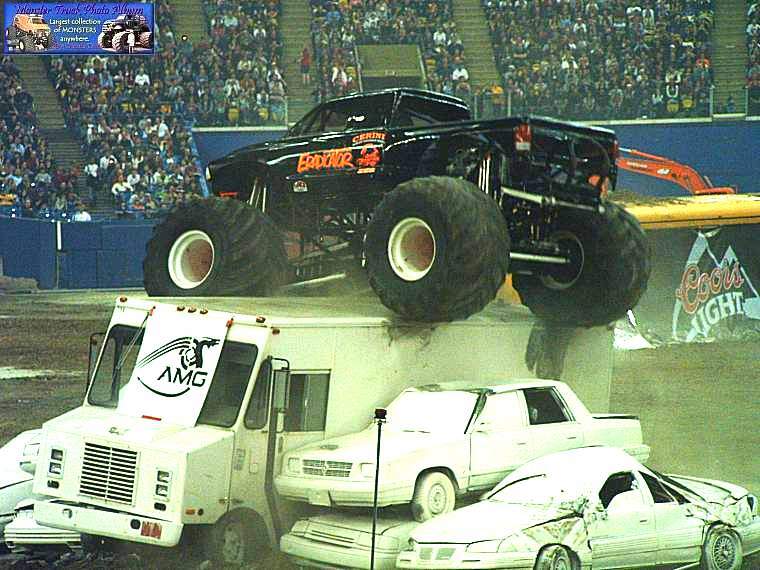 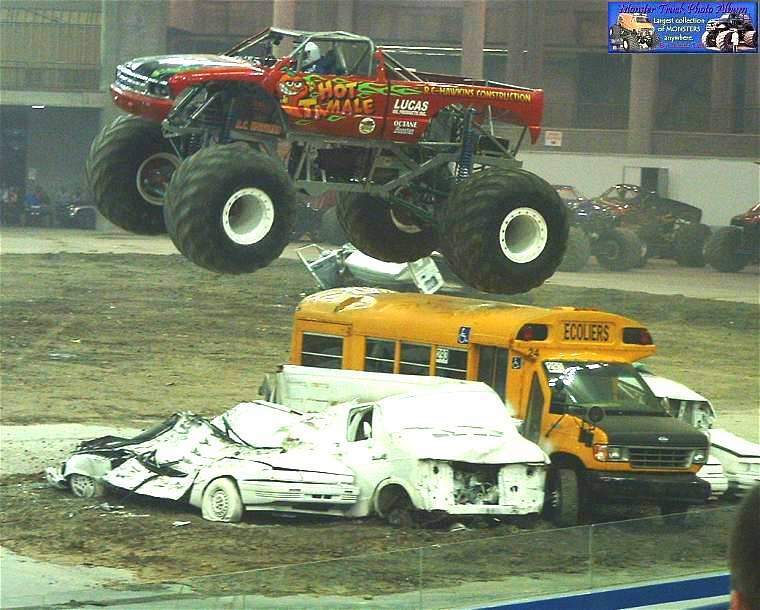 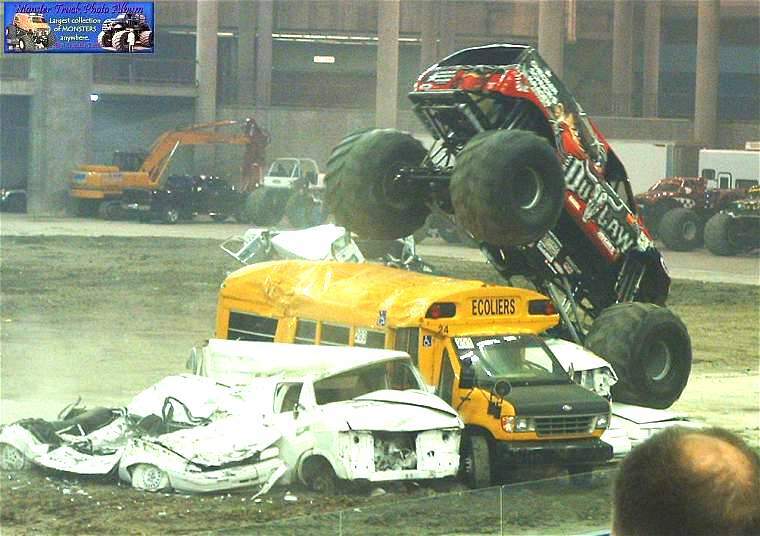 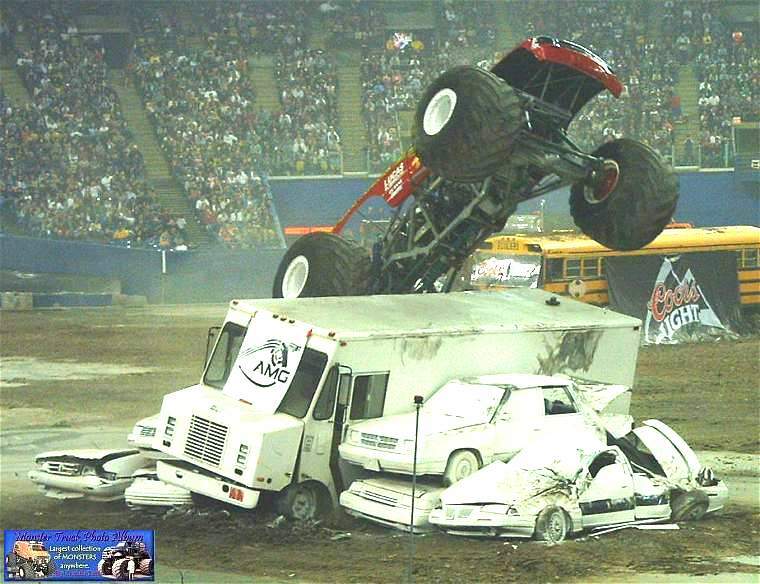 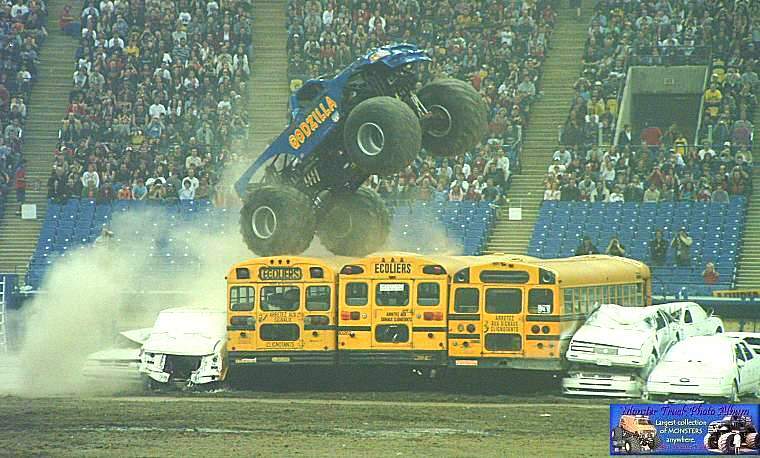 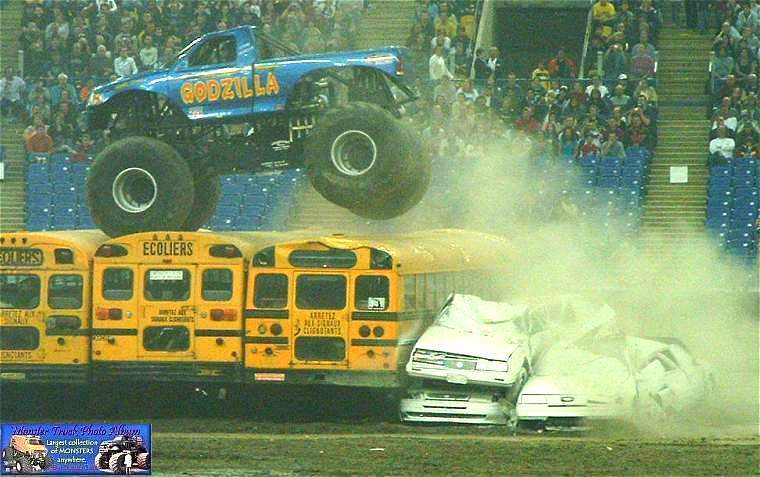 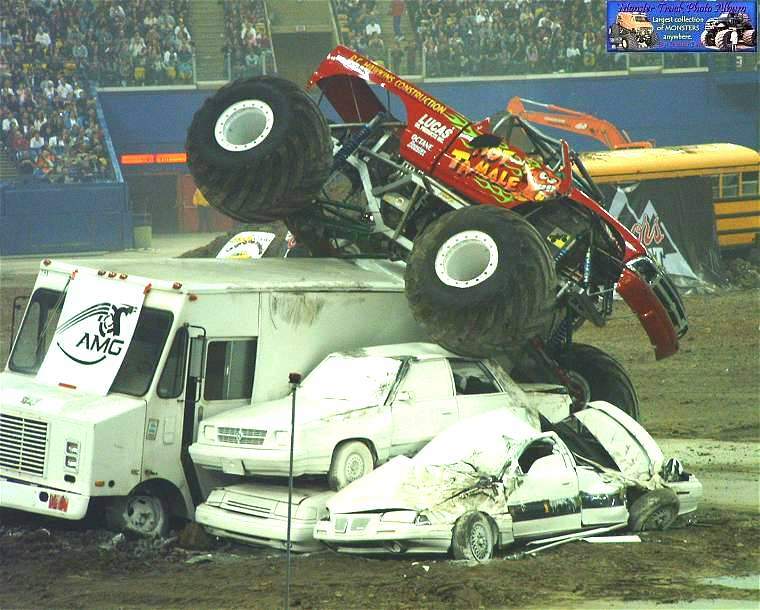 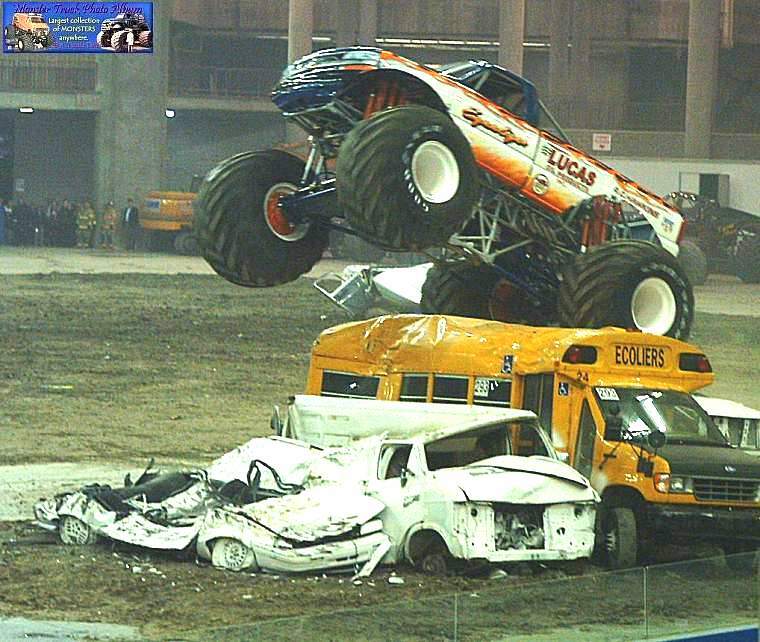 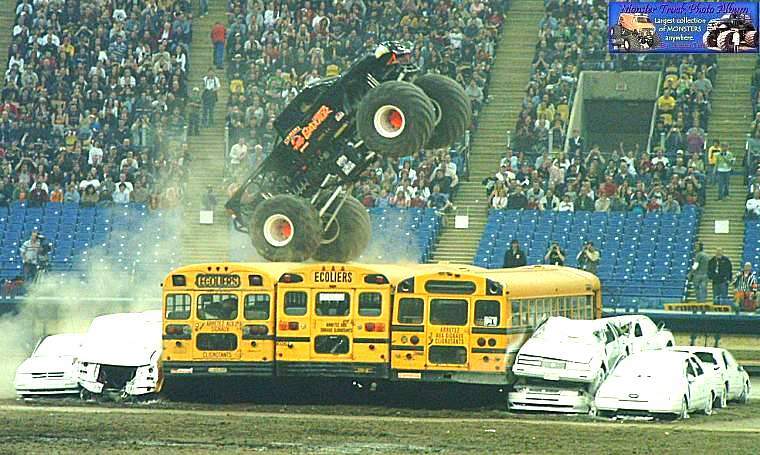 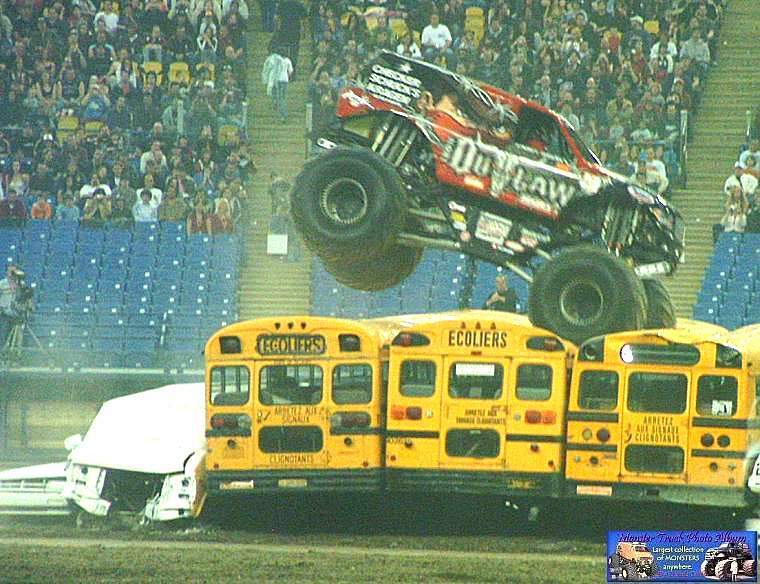 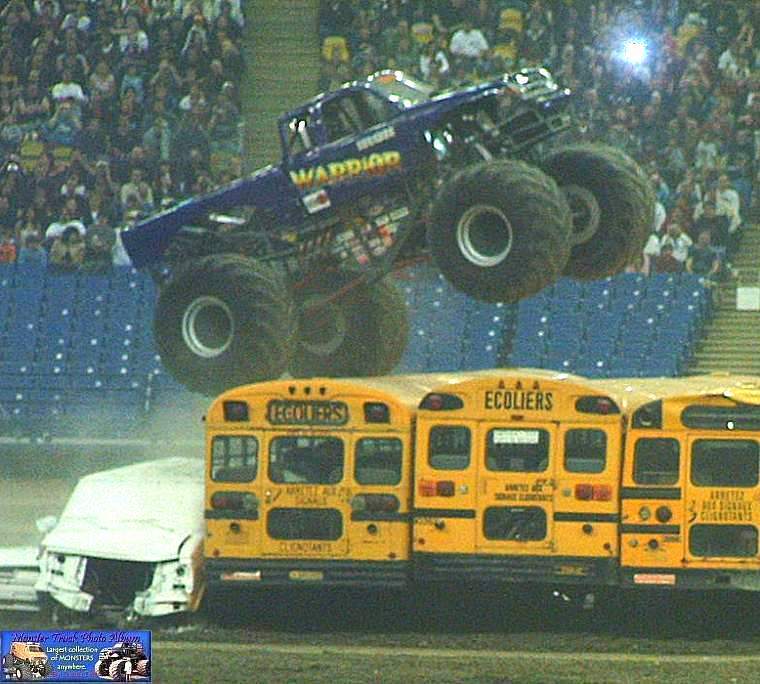 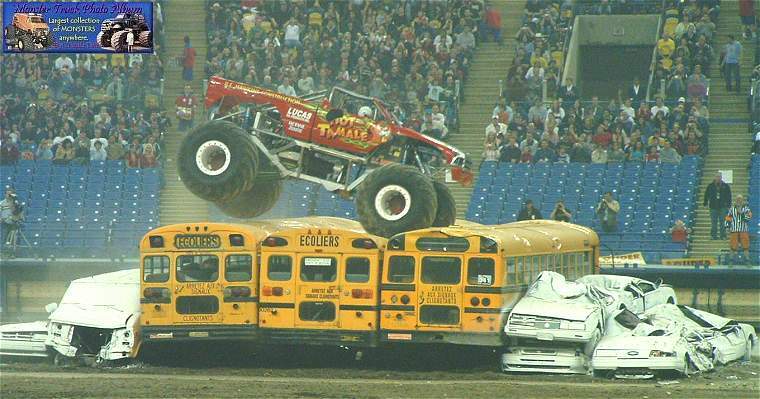 Finally, Black Stallion made only one jump over the busses and broke the truck to close the freestyle competition. 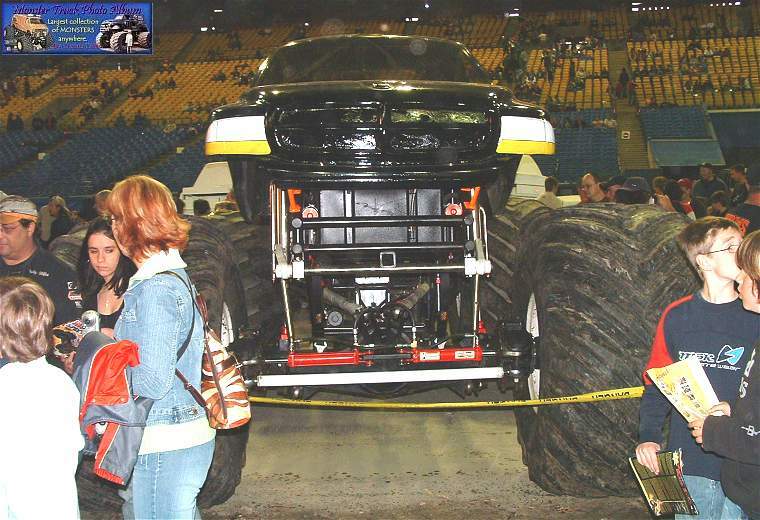 Hope you enjoy and keep the good work.